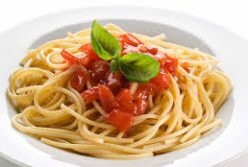 There is nothing quite like the taste of fresh pasta or meal at an Italian restaurant. The aromas and flavours from the fresh sauce, seafood, sausage and choose blend perfectly together to give our culinary desires a taste of perfection. However, knowing which top 5 italian restaurants in America are the best can often take time. Of course one can read reviews online, but with so many using services such as Fiver to purchase fake reviews, how can you be certain you will have the experience you are hoping to get? 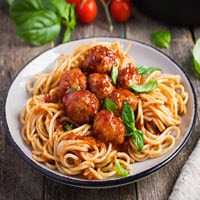 Well to help you in your endeavour to find the perfect Italian restaurant, we thought putting together a list of the top five Italian restaurants in America might be just what you are looking for. As global travel is common today, we often find ourselves in cities that we are unaccustomed too, using our top five list will help you located the best New York, Los Angeles, Boston, New Orleans and Washington D.C has to over Italian wise. Marea focuses on the simple joys of Italian cuisine. Their head chef, Michael White, covers an impressive menu that fulfils the needs of a simple pasta dish to the more extravagant seafood pasta dishes with rich sauces worthy of royalty. Whether in the mood for caviar or Strozzapreti, a wonderful jumbo crab dish seasoned with calabrian chilli and basil. The menu will satisfy die-hard Italian food lovers and with its extensive selection, it is hard to come away disappointed. Rated as a 5-star restaurant, its service is excellent, as is its food. Located in the Melrose and Highland area, Osteria Mozza is a sought-after dining experience and one that covers everything from house-made pizza to Ricotta and Egg Ravioli. Its mozzarella bar is a delight that will take you on a journey of taste perfection, and with eight different choices, there is something unique and special to suit everyone’s taste. A five-star location, its tables are packed nightly as presents some of the best pizza the city of Los Angeles has to offer. Boston’s Coppa was the vision of Jamie Bissonnette. As a young man, he turned his love of cooking into a vision of Italian happiness. Located in the south end of the city, Bissonnette creates dishes using the finest of fresh ingredients such as Barbabietole, a dish that blends ember-roasted beets, chermoula vinaigrette, feta and pine nuts into a culinary explosion of taste to Spaghetti Carbonara con Riccio di Mare with imported spaghetti, pancetta and sea urchin seasoned with black pepper and parmesan cheese. With an extensive wine cellar at the beck and call, this is one of Boston’s finest when in the mood for authentic Italian food. The battered city of New Orleans is known for its culinary magic, and Domenica fits that mould perfectly. Created by famed restaurateur John Besh and Alon Shaya, this happening location in the Roosevelt Hotel serves its guests only the best. From fresh-made pizza to Chicken Alla Mattone served with brussel sprouts, carrots, turnips and bagna cauda, you can be sure the authenticity will have you feeling as if you are in Italy looking over the coast and incredible landscape that make up this wonderful country known for its culinary delights. 5. Fiola – Washington, D.C.
Washington D.C, a political hub of activity generates some pretty hungry customers after a long day looking after the country. Fiola has that covered with its intense and sculptured creation of classic Italian dishes to its own special foray into blending the many attributes that makes one only crave more. Whether in the market for smoked venison cacciatore served with pancetta, parsnip crema and wild huckleberries or feeling a little more in the mood for Lobster Bisque with Whipped Venetian Baccalà, Squid Ink Tuile and Espelette, you will not be disappointed by what you find.